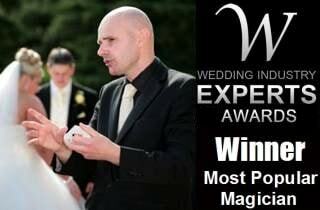 The magic of West Midlands illusionist David Fox will guarantee success at your next special event in Solihull. The tremendous success of magicians like Dynamo and Derren Brown on TV have promoted magic to sensational heights in recent years. David Fox performs his own magnificent brand of illusion. He recently amazed audiences at the Forest Hotel on Station Approach with his exceptional card magic routines, mind-reading stunts and wonderful feats of sleight-of-hand. This is magic as you have never seen before with the execution of a master craftsman. 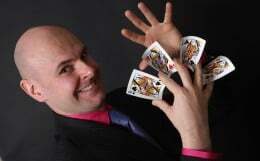 David is always delighted to perform magic for audiences of all age groups and backgrounds. Solihull College and University Centre is located close at hand and David always amazes student audiences throughout Warwickshire and beyond. Indeed, he is a familiar figure at awards ceremonies and open days around Solihull.